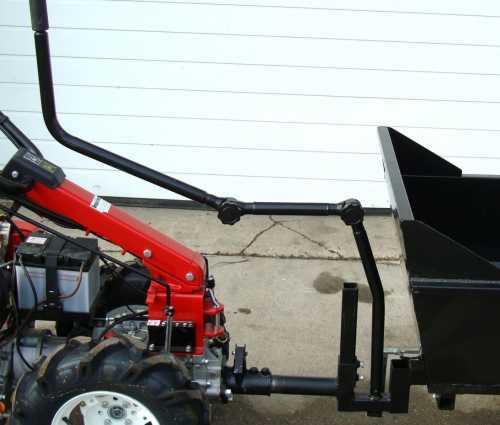 This professional attachment barrow is ideal for off-road use. 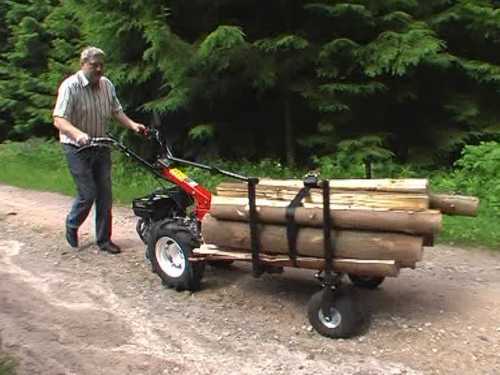 As a driving machine, any two wheel tractor can be used. 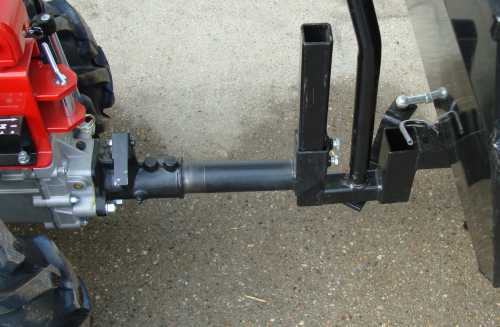 However, it should have at least a forward and reverse gear. An engine power from 5.0 PS is sufficient. 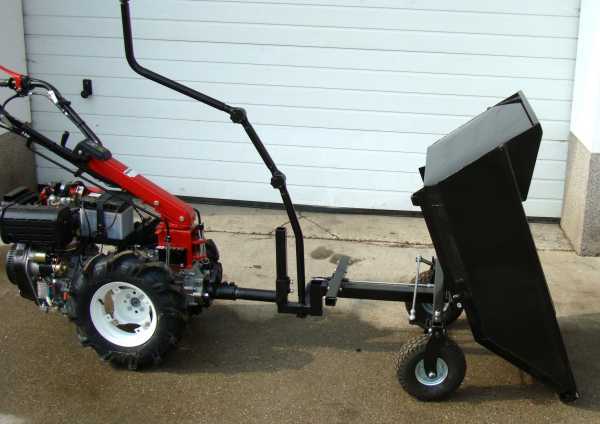 The skip is welded from 2 mm thick sheet steel and fully tiltable. The contents of the container will be completely slip out due to the very steep tilt angle. 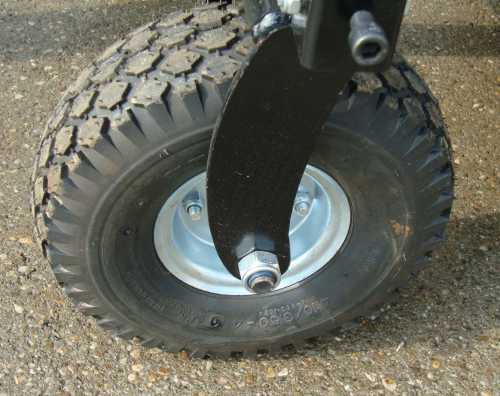 The wheels are arranged very wide to ensure a high stability and a low risk of tipping. 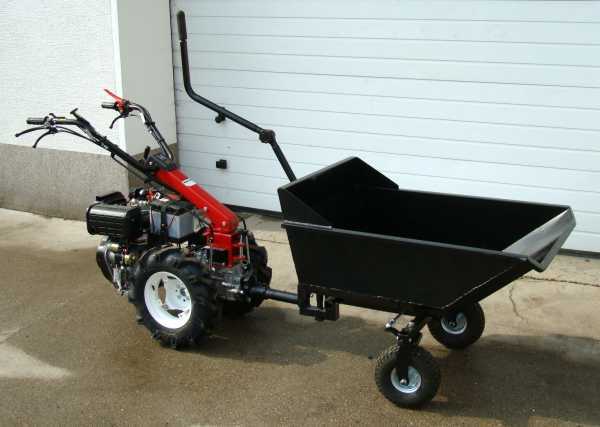 In rough terrain, the steering is ideal for moving loads and to pass the terrain without great effort. 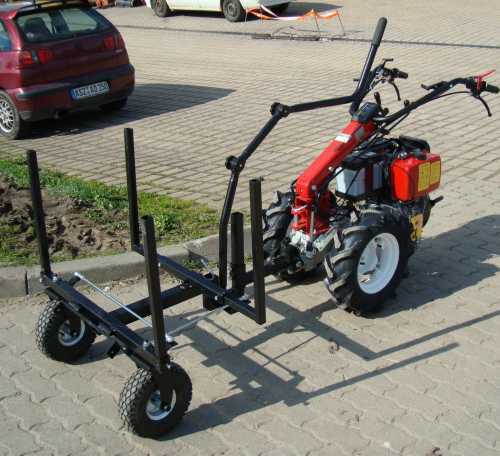 The adapter can be customized for any two wheel tractor type and fixed variable depending on the wheel height of the two wheel tractor. 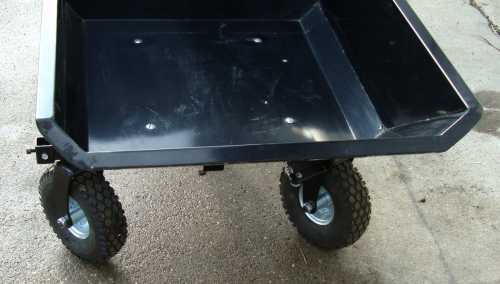 The wheels have double ball bearing mounted steel rims. 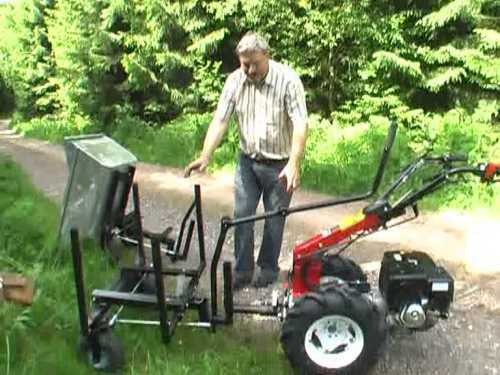 and it can be set variably for each two wheel tractor. 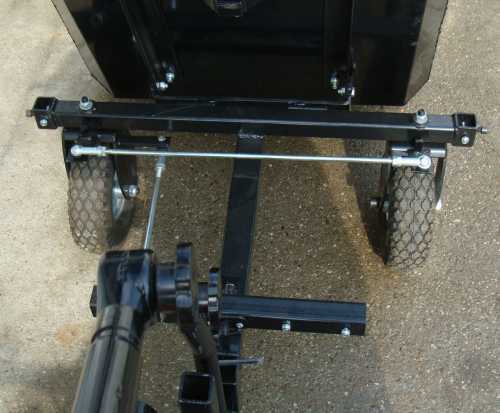 In standard scope of delivery are included 4 pcs square supports to transport wood easily.